A USA Miners Helmet. Made from moulded Cardboard like material and Metal. 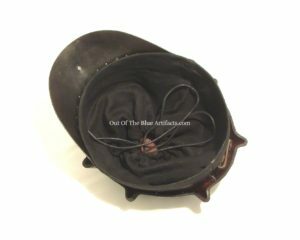 This type of helmet is a Flexo Band Cool Cap but known as a “Turtle Shell” helmet. 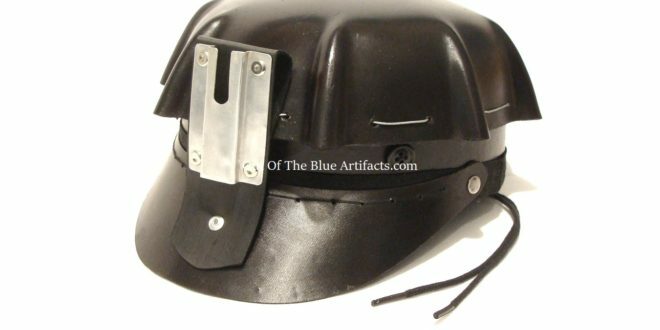 This design of helmet was first patented by Mr Albert A. Strauss in June 1933. The bracket on the front can hold a Carbide or Oil Wick cap lamp. 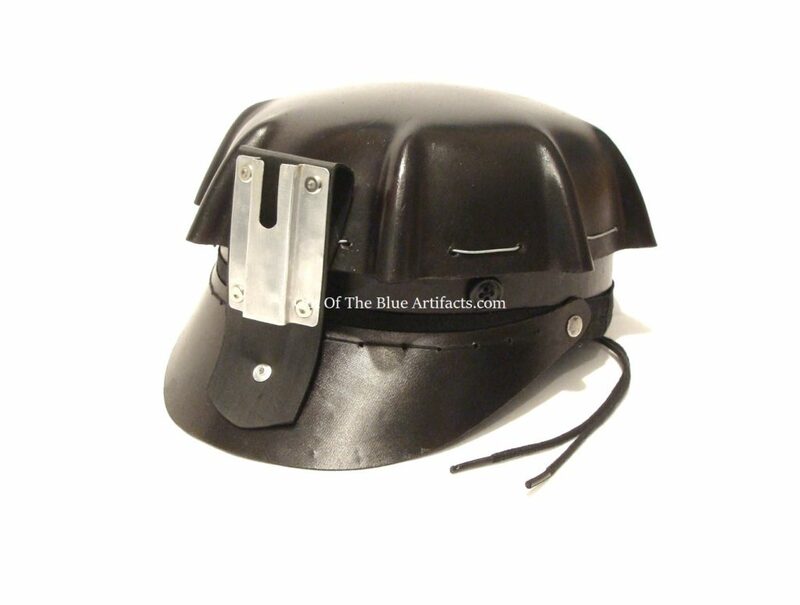 The helmet pictured is a later make as it has a lamp cable clip attached to the back. They were used in many coalfields around the world.